Crystal Dynamics and Square Enix are prepping for the Xbox One and Xbox 360 release of Rise of the Tomb Raider and the game is being primed to be one of the biggest AAA releases of the fall season. This will be a sequel to the 2013 reboot called Tomb Raider, giving Lara a more direct and mature role in her adventures in exotic locations and facing off against thrilling dangers. Well, despite the original reboot getting some fairly high critical review scores, there were still a few major drawbacks to the game, and hopefully Crystal Dynamics takes heart of these 5 major things that we hope will be improved in Rise of the Tomb Raider. 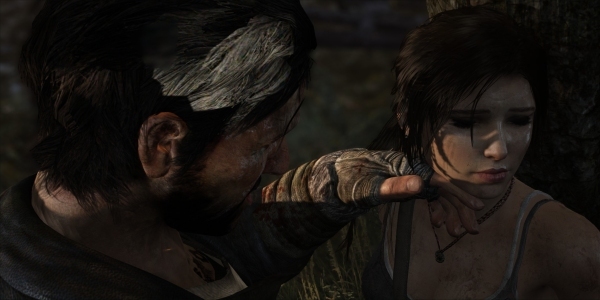 The first half of the 2013 reboot of Tomb Raider introduced gamers to a far more cinematic game compared to the previous outings by Crystal Dynamics. The new game was centered entirely around a more Hollywood-style approach to the gameplay and combat. While a more Hollywood-themed Tomb Raider sounds exciting on paper, the problem is that this resulted in a large portion of the game being little more than one large interactive cinematic sequence with sporadic moments of actual, free-form gameplay. Hopefully in Rise of the Tomb Raider we'll have less of the director cinematically forcing people to play the way they want and a bit more freedom in how the game can be played, a little like the older titles on the PC and PSX. This is obviously the most common issue that just about everyone who played the 2013 reboot brought up: there weren't enough tombs to raid. The original trilogy was all about raiding tombs; big tombs, little tombs, hard tombs, soft tombs, easy tombs, tight tombs, wide tombs and tombs filled to the brim with traps. 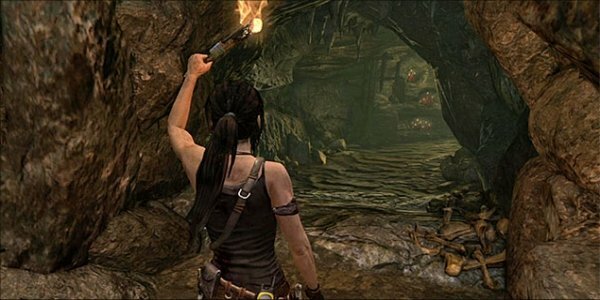 The reboot of Tomb Raider actually did contain tombs but you didn't really raid them. They usually consisted of one or two rooms that would require climbing up something, activating something, grabbing a treasure and then leaving. The original games had long, hard, complex tombs that left you feeling satisfied getting through them. It looks like Crystal Dynamics is getting back to the basics with the new game and it should be nice to see how they diversify and make the tombs entertaining in the upcoming game. This is more of a pet peeve of mine than something that I've seen the community complain about. But AI has always been a major issue with me throughout seventh gen gaming. We saw a lot of games recycle the same sort of AI behavior over and over again throughout the last gen and it's sadly been the same with the reboot of Tomb Raider. Hopefully Crystal Dynamics doesn't take the easy way out and have the same sort of typical AI routines recycled throughout the game. Adaptive AI that reacts to the surroundings and forces players to alter their actions is what will determine how fun, challenging and replayable the game is. There's a fine line between fun and frustrating when it comes to AI, so let's hope they do it right with Rise of the Tomb Raider. 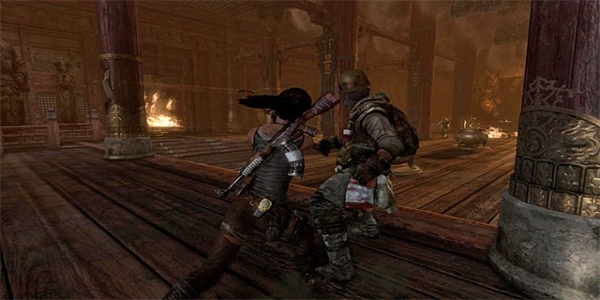 The melee combat in the reboot was obviously a step up over the melee attacks in previous Tomb Raider games but it was still fairly lacking. Majority of the time it just focused on timing pressing the 'Y' or Triangle button to correspond with the attacks of enemies to mount a counter-attack if your skill-set was high enough. Having varied and difficult enemies with melee-focused attacks could really improve the game's melee encounters. 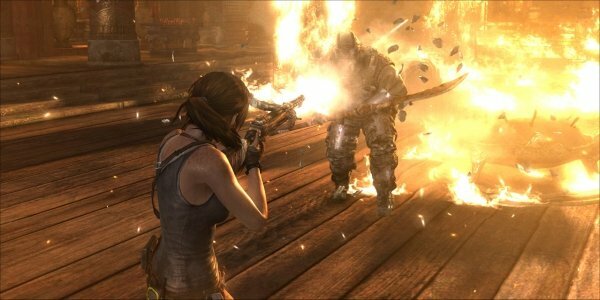 By the end of Tomb Raider it was actually faster to just melee enemies than shoot them since melee attacks could easily kill enemies in one hit. Having the enemy AI mount different counter-attacks and grabs could really help improve the quality of the melee, so let's hope we get to see that in the final game. PETA may not like animal abuse in real life or when Mario dressed up in a raccoon suit, and they would likely make a bigger fuss about the issue in a slightly more realistic game like Rise of the Tomb Raider if it were a more prominent feature. But keep in mind that Lara's roots were always firmly planted in fighting animals and scaling walls first and foremost. It would seem like having animals as bosses could prove to be a way to really differentiate the game from Uncharted while also paying homage to the classics, which saw Lara fighting all manner of dangerous wildlife, including sharp-toothed dinosaurs. 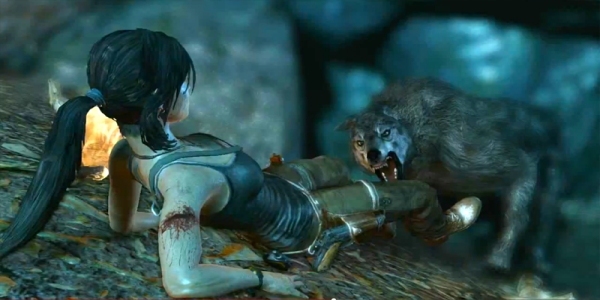 How awesome would it be if Lara had to fight some raptors or a T-Rex?